Since 1895, when it produced its first furnace, to today, Lennox has been widely recognized as a leader in innovation of home heating and cooling products. As a four-time winner of the Energy Star Manufacturing Partner Award, it offers the quality engineering and innovative technology that has earned the company its high reputation. As an authorized dealer in Minneapolis St. Paul Metro, we have the training and the experience needed to help you select the ideal furnace or air conditioner that fits your home’s unique HVAC requirements. Up to 95% AFUE efficiency rating. Aluminized steel heat exchanger for high reliability and efficiency. Sealed blower compartment for minimal heat losses and maximal comfort. These models offer superb reliability and engineering at a price point that makes these models affordable for any homeowner in Minneapolis St. Paul. With up to 95% AFUE efficiency, one of the four Merit series models, ML195, ML193, ML180E and ML180, is available in a size to fit your needs, and at a price that’s very affordable. The robust and durable blower assembly provides even temperatures and improved comfort. Each furnace comes with a 5-year parts warranty and 20-year heat exchanger warranty for your peace of mind. Up to 96% AFUE efficiency rating. ENERGY STAR qualified for high energy efficiency. Variable speed blower motor for a quiet, steady airflow. Environmentally sound engineering combines with legendary quality in these high-efficiency models for your home. Six models, EL296V, EL280, G61, EL195E, G60 and G50, in a wide range of size configurations, make these furnaces an excellent choice for any home in Minnesota. With efficiency ratings up to 96% AFUE, and features like two-stage heating and variable speed blowers, they provide reliable heating and comfort for you and your family. Every unit is covered by a 5-year parts warranty and a lifetime heat exchanger warranty. Up to 98.2% AFUE heating efficiency. Self-calibrating variable speed inducer for cleaner combustion. SilentComfort technology for the ultimate in quiet operation. The ultimate in home-heating systems, these are among the highest-efficiency furnaces in the industry, and the quietest, too. They offer energy efficiency ratings up to 98.2% AFUE. Available in two models, SLP98V and SL280V, and in sizes to suit any home, they offer discerning homeowners the maximum in performance, efficiency, quiet operation and durability. The high fuel efficiency can save you up to $800 in energy cost. Its dependability is reflected in its 10-year parts warranty and lifetime heat exchanger warranty. We are proud to offer a full range of residential products to our customers at affordable prices. Our highly skilled technicians have the training and experience for fast installation and reliable service. From the Dave Lennox Signature Collection to the low-cost Merit Series, there’s a reliable furnace that will fit your needs perfectly. High efficiency and quiet operation are hallmarks of these models, and they’re supported by excellent warranties and dealer support that helps keep your system running perfectly for years. 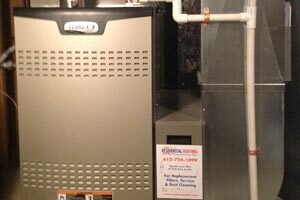 Lennox furnaces are a popular choice for homeowners because of their high dependability and affordability. These outstanding central forced-air home-heating products are available in prices to suit every budget. We will be happy to provide you a cost estimate. As the most reliable residential heating contractor in the Twin Cities, we will thoroughly analyze your home’s heating requirements and suggest the exact models that match your specifications and budget. We offer competitive pricing and special discounts. In addition, we help you qualify for various rebates that can save you more money. As a top Lennox dealer, we receive volume discounts and offer very attractive, money-saving deals to our valued customers. As a Minnesota homeowner, you need choices when it comes to selecting the best heating and cooling systems for your home. As one of few authorized Lennox dealers, we offer a wide range of products at affordable prices. Contact us soon with your questions. One of our sales consultants will be glad to visit your home in Minneapolis St. Paul, analyze your needs and explain all of your options. We never use high-pressure sales techniques. We provide you with the information you need to make the best decision on your residential heating and air conditioning system. We always welcome a chance to bid on your new or replacement system and stand behind our sales with top-rated service and maintenance.